Click to viewNo, I will not let this topic drop. There can be no real winner in the Guitar Hero / Rock Band war until one song...just one, little song appears in one of the two, and that song is "The Touch" by Stan Bush. 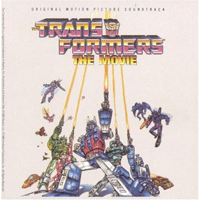 Originally appearing on the soundtrack to the Transformers animated movie in the 80's, the song made countless little boys believe that they could do absolutely anything, no matter how many Decepticons got in their way. The fact that this song isn't in Guitar Hero or Rock Band yet is eating away at me, so much so that I actually contacted Stan himself to see if there was anything I could do to help. When he actually answered me I just about died. Turns out not only would he love to have the song in either game, he even contacted Activision himself. His reply to my email follows! Note the "Hey Michael," at the beginning. I'm just going to stare at it a little more before continuing. ... ... ... Okay. So, Stan needs our help. Specifically my help, but I figured I would let you guys in on it. We need to get this song into a game where we can play it with our friends, possibly while wearing giant robot costumes. To that end, we need to bug the living hell out of Activision and Harmonix. It is vitally important that we do so. I will go as far as to say that whichever game gets "The Touch" first, will be the only band game I purchase for personal use from here on out. I mean, ideally we would want it in both games, but an element of urgency always helps. For those of you who have never seen or heard "The Touch", here is the music video from way back in the day, courtesy of Seibertron.com, the most amazing Transformers community site on the planet. See? It's rhythm band game GOLD. Okay Harmonix, Activision. Ready, set, go!